So, how does it fare? Not too bad, actually. 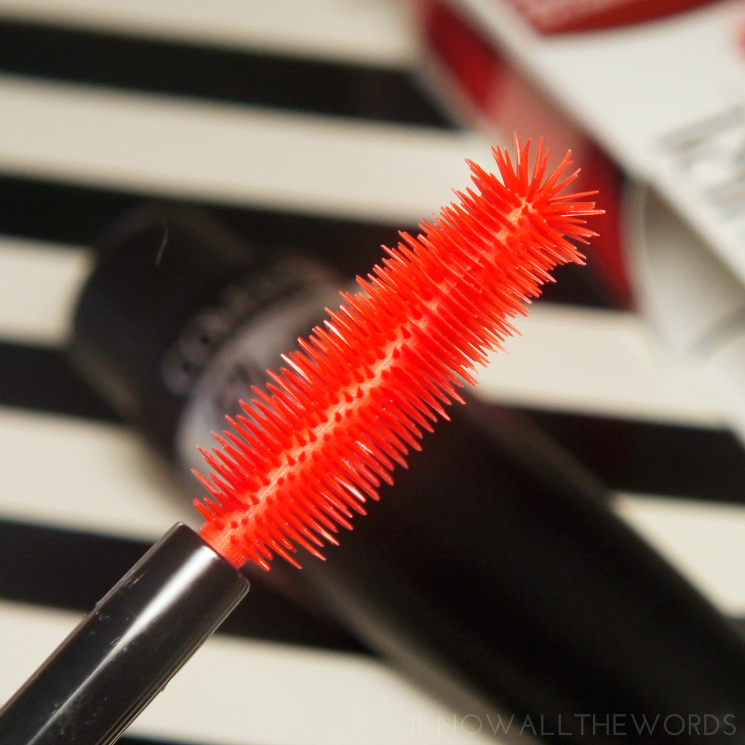 I know I expect a lot from my mascaras, but this does a really great job of volumizing- er, sorry plumpifying lashes. 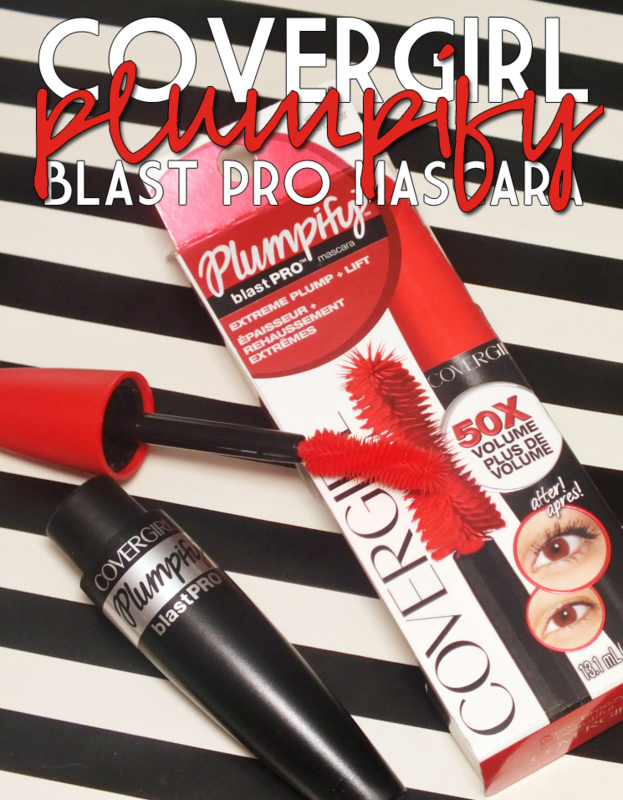 It adds decent length, deep black pigment, and doesn't get overly clumpy when you layer it on. I do find it weighed my lashes down some, but that is pretty usual for any non-waterproof formula on my stubborn lashes. It was a smidge messy when I first applied it, but not overly wet. The brush is larger than it needs to be, which didn't help, as it was a bit tricky to get the wand right in to the root of lashes. Overall, I like this mascara. Is it amazing, holy grail, I can't live without it? No, but it work pretty well and doesn't flake off or smudge through out the day. It's a great everyday option and doesn't break the bank. What do you think? Tried it? 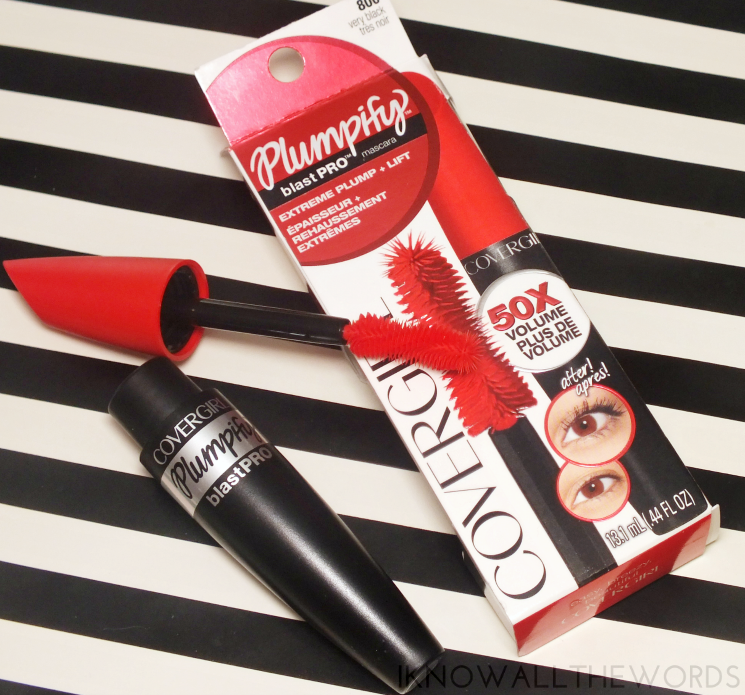 Do you have a favourite Covergirl mascara?